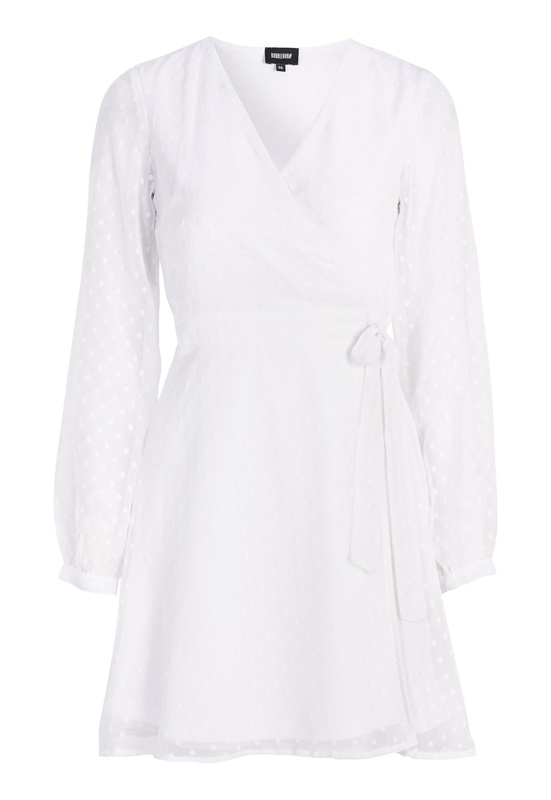 Stylish wrap dress with a beautiful texture from BUBBLEROOM. - Length of dress from shoulder: 88 cm in size 36. - Sleeve length: 62 cm in size 36.